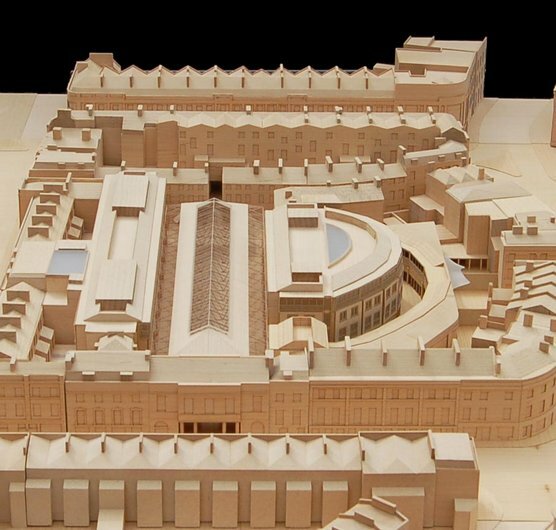 Hopkins Architects proposals for Greenwich Town Centre and Market as approved by the Secretary of State in January have not been challenged during the judicial review period. This means that the scheme, which includes minor amendments to the original planning application made in 2009, is clear to go ahead. Client's Greenwich Hospital have declared their intention is not to progress the regeneration work until early 2013 to avoid disruption to the centre of Greenwich and the market during the Olympics and Christmas 2012. The scheme, which will give Greenwich the regeneration it needs, will include a new boutique hotel, retaining and recovering the existing market roof, new market retail and craft studios and works to improve adjacent listed buildings by Joseph Kay.